The City of Bryan’s Planning and Development Services Department is one of only 39 across the state of Texas to be selected as a recipient of the 2018 Certificate of Achievement for Planning Excellence by the Texas Chapter of the American Planning Association. Presented at the annual conference in Galveston this past October, this award recognizes the efforts of planning departments to increase community awareness of planning initiatives, support economic development, and contribute to an overall positive image of the community through planning related projects. 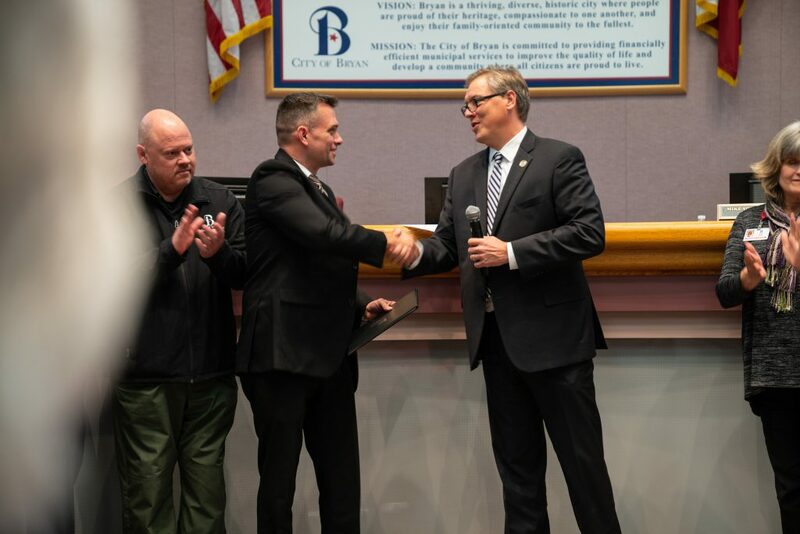 “The work of our Planning and Development Services Department is a fervent display as to why life is better in Bryan,” says Bryan Mayor Andrew Nelson. “We consistently hear how wonderful our team is to work with and that speaks volumes when you are recruiting and retaining quality developments within your community.” Working hand in hand with the Planning and Zoning Commission, the Historic Landmark Commission, the City Council, and the community at-large, the City of Bryan Planning Department staff focuses their efforts on providing quality customer service and education through team work and positive relationships, to guide and promote quality development. 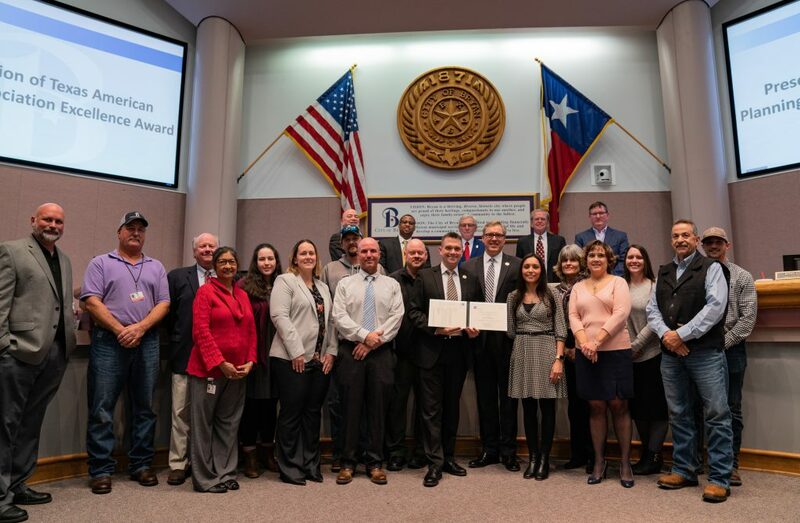 Bryan planners accepted the recognition during the regular City Council meeting on Tuesday, November 13, 2018. To learn more about the City of Bryan Planning Department, please visit www.bryantx.gov or contact them at planning@bryantx.gov or (979) 209-5030.